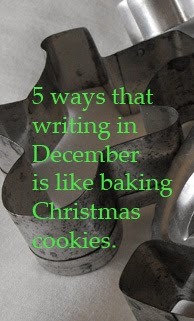 Sue--I enjoyed your post, and--unlike enjoying nibbling on Christmas cookies--no calories were involved. Loved this....especially about your son wanting to know what happened next in your novel..and that you compelled him to read the finished pages! Thanks for the great tips!